It is important to know about the make and model of your car before seeking out the services of car removal companies. The very next obvious step would be to do some research online and find the best suitable scrap car removal company for you. 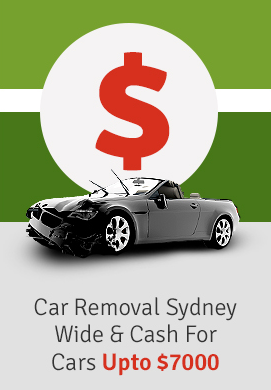 Reputable companies like Metro Car Removal Sydney offers top dollars up to $7,000, accepting scrap car of any make or model. After choosing the car removal services suitable for you, give a call to an expert technician or just obtain a quote online. If you have got an unwanted, dilapidated car in your garage, the best feasible option would be to Get Instant Cash for your Scrap Car. Here are few things that must be done before seeking out the car removal services. A Car Removal Company that offers reliable services is bound to have a good reputation. You can check online reviews about the respective company, or just ask around if anyone has had any experience with the car removal company. It is always recommended to ask a few questions about the license and insurance of the car removal company. Ask them if they offer free services like free towing or paperwork. That is why research is very important in terms of choosing the best company for you. This can also help you get insight on the reliability and range of their services. Keep in mind that, after they make you an offer, it is all up to you to accept it or decline it. Once you are satisfied with the quote, then the hassle free process of towing shall begin. Once you accept the quote, the representatives from the company will visit your place for evaluation. Before that, make sure to do few things on your behalf. Do not leave anything behind- check under the seats, in the compartments or anywhere else where you might have had any personal belonging or information. The next step is to remove the license plates. Make sure to get your title straight and you have all the paperwork ready. Further, it is also recommended to use up your gasoline. If you want to Get rid of your Scrap Car, contact a reliable company like Metro Car Removal Sydney at 0422 600 833 and obtain a quote. This is the best way to get rid of your car all the while getting top dollars for it.